A Chillicothe resident, 73-year-old Carole Ann Jenkins died Wednesday, February 13. 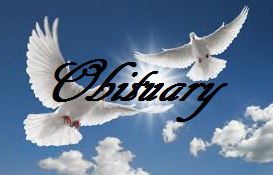 A funeral service will be held at Lindley Funeral Home in Chillicothe Wednesday, February 20 at 1 p.m. There is no scheduled visitation. Friends may call the funeral home the day prior from 9 a.m. – 5 p.m. Burial will be held at May cemetery in Chula. Memorial contributions may be made to the Forest O. Triplett Animal shelter and may be left at or mailed to Lindley Funeral Home in Chillicothe.